Little bottle with the big drops. You had to know that the new article by Mark Sircus, Magical Mineral Supplement (MMS), would be brought to my attention. Since I’m on his mailing list, I was aware of it already. And why not? While I don’t really treat anyone, or even advise people for a living, I have had a thing or two to say about MMS. And yes, I have a thing or two to say about Mark’s opinion. Everyone is entitled to their opinion, but some people believe that their opinion is truth; not just truth, but the absolute, unquestionable truth, one that everyone else should live by. I’m not saying that this applies to Mark, as much of what he writes — one of his works being so important that I became his first publisher — rings quite true to me. But even then, it’s only true until we learn something new; that is, if we’re open. Where it relates to MMS, Mark and me are of differing minds. Anyone who has read my rebuttals to articles on MMS by Gabriella Segura and Jonathan Campbell, are pretty clear where my differences lie, so I won’t parse Mark’s article line-by-line, as he relies strongly on Dr. Segura’s misanthropic musings, to make his (or her) point. While I make a modest income from sales of my documentary on MMS, I am not a member of Jim Humble’s church; a point that he respects. My opinions are my opinions too. I don’t purport to speak for Jim, who will not hesitate to give you his opinion. While the church thing isn’t for me, I believe that Jim Humble has done the world a great service in bringing this approach to the preparation, deployment and use of chlorine dioxide to our awareness. If it were not effective, it would have been evident a long time ago. It is fascinating that the loudest voices in opposition to the medicinal use of chlorine dioxide are the ones who have studied it with disdain and suspicion, know the least about its therapeutic behavior, and have committed themselves to currying the public’s disfavor against its use. MMS must be a threat to something, don’t you think? If the Alphabet Agencies had a track record of providing reliably beneficial information to the public on health matters, then their warnings against the use of MMS would have some credence. However, the burden of truth applies to all. The public can tell the difference between THM (trihalomethane) producing, as in chlorine, and non-THM-producing, as in chlorine dioxide. Even if the FDA and Dr. Segura don’t appear to be able to tell the difference, it hasn’t escaped notice. All this turmoil over MMS only leads me to respect Jim Humble’s fortitude and resolve to write, articulate and explain the potential of chlorine dioxide through his book that much more. Who would knowingly want to subject themselves to such criticism? Yet, one day, I believe history will look kindly on what he did, and the acrimony that clouds some current conversations about MMS will be long forgiven and forgotten. Seeing what Humble was getting at after doing research of my own, I have given my energy to explaining what I’ve seen, experienced, and learned. MMS has helped many people, as others are now helping others do the same thing, in the same spirit. Approaching the completion of his 80th time around the sun, he has not slowed down. While it doesn’t mean Jim Humble’s protocol is a panacea, there is clearly something to MMS/chlorine dioxide. Instead of arguing about how much better something else is (even though one doesn’t know or believe how good the criticized product can be), we should be learning as much as we can how to use MMS in the best way. This does not invalidate anything else that also works. Below is what true-in-labeling regarding GM products, looks like… in The Netherlands. Imagine that happening in your country, if it doesn’t already exist. The next best thing to NOT having GMO products. Beyond GMO labeling policy, the agency has given the green light and its blessings for the public to purchase and consume seafood from the “Corexit® seasoned,” Gulf of Mexico. Yet, Sircus, Segura, et al, turn a blind eye to the consistent, anti-health thinking that is behind these policies, holding their noses while they suggest that the Agency is right on MMS. Chemical science doesn’t support their description of chlorine dioxide behavior, especially at the scaled down levels that MMS is used at, and the results just don’t support their claims of danger, when used as recommended. Critics claim danger because they haven’t used MMS themselves, and seem to take greater “humbrage” at the product’s progenitor, i.e., the crusty, but genuine to the core, Jim Humble, who is no Jim Jones. For all the cries of “danger!” MMS’ detractors have mostly conjecture and misinformation about chlorine (transposing chemical behavior of chlorine and chlorine dioxide), to hang their authoritative hats on. The problem is exacerbated when MMS critics are unwilling to acknowledge that the buzz that has proliferated since Humble went public might actually be legitimate. Instead, they accuse him of selling “snake oil;” a claim that some might have even brought against Sircus when Transdermal Magnesium Therapy was published. Fortunately, neither Mark nor I, as the original book’s editor, designer, and publisher, cared about that then. It is ironic that magnesium oil (MgCl2), and the byproduct of MMS activation, chlorine dioxide (ClO2), share the same binding element in chlorine. Yet, we have come to look upon chlorine as an evil element unto itself. In actuality, we don’t appreciate how vital the elements are. That is what riled me about Dr. Segura’s piece. If you read it, you’d be afraid of oxygen, perhaps of taking too deep a breath. Everything that she said was bad, was real bad. In Mark’s book, an entirely different appreciation for the metabolic process is engendered. Chloride is required to produce a large quantity of gastric acid each day and is needed to stimulate starch digesting enzymes. Using other salts is less advantageous because these have to be converted by the chlorides by the body anyway. Perhaps it is not the presence of chlorine, but the molecular form and combination that is important… also, it might not be what is there, but what is not there, such as trace minerals, to accompany the chlorine. MMS, which starts its life as a form of unprocessed salt, sodium chlorite (NaClO2), appears to be converted into an ionized form when dissolved in water after the acid “activator” is introduced. If Mark’s statement above is correct, it looks like the body has a need for the ionic chloride as well as the oxygen that has been liberated from the sodium, a metabolic “win/win” situation. It could also be that, since the salts are unprocessed, additional minerals, which are oftentimes processed out as “impurities,” may be metabolically active in a significant and beneficial way. This is conjecture on my part, but the positive results that people have reported can’t continue to be dismissed away. What does this have to do with MMS? Nothing. An impression is given that any chlorine is “bleach,” and therefore, dangerously harmful. Yet, chlorine, or its ionic component, chloride, is necessary for many metabolic activities. You can’t get a chloride without chlorine. It goes even deeper. Take a look at chlorine ion levels – one of the electrolytes that the body needs – in blood plasma and interstitial fluids. Notice the electrolytes in the body. Looks like chloride ions are important when converted to a form that is bio-beneficial. Results might give us a better clue than fears over what might happen. In the absence of clinical trials, what is wrong with evaluating the results that people have actually reported, both good and bad? Mice and rats can’t tell us the real story of what they’ve gone through, but we base a lot of science on empirical information gleaned from such tests. People can say exactly what did, and didn’t happen to them, to the plus as well as the negative; yet, the FDA and Jonathan Campbell, in their calls for reports on MMS, only asked for negative information, with no interest in positive. Mark also chose to only post three sad stories, to support an opinion that MMS is bad for you. Chlorides which, according to Dr. Mu Shik Jhon’s The Water Puzzle and the Hexagonal Key, are structure-breaking (as in water) ions. Magnesium is also among the elements that tend to break down the hexagonal structure in water clusters, to a pentagonal order. This doesn’t make either of them “bad”. Indeed, we can’t have life without either, and cannot have health if they are not both present, in proper balance and proportion. When both oxygen (O2) and magnesium (Mg) bind with chlorine ions, beneficial things happen in the body. If a person is chronically ill, then the balance and proportion in the mineral elements (ions) is already out of whack. Therefore, one way of determining the efficacy of any treatment modality is does it work, and if so, how well? I have had lengthy telephone conversations with two people in the Gulf Coast who, after 2010’s BP oil spill, used products distributed by the Gulf Coast Barefoot Doctors, to help residents who were coming down with a myriad of ailments. The recipe was clearly conceived, prescribed, and blessed by Chef Sircus. The bottom line; they did not provide relief, much to the consternation and belligerence of the products’ proponents, who had hoped for a favorable report by some of the most prominent voices in the Gulf, which did not happen. Wil Spencer stepped in, reaching out to some of the same people, and presented a package that included MMS, which he re-branded as Advanced Oxygen Therapy. I said, included; but not limited to MMS. Nonetheless, when his protocol and telephone assistance brought longed for relief to one of the most visible and vocal residents of the area, it started such a firestorm, rife with outrage, accusations and innuendo, that she was led to feel misled and betrayed, by the very people whose answer had not helped her gain relief. At the end of the day, she was unsure as to what really had helped (although she was sure what had not). She still did not feel free to share her good news with the Gulf Coast community, even though they could indeed benefit; not by MMS alone, but with an effective way to reduce the chemical overload. Spencer was attacked editorially by Debra Dupre (www.examiner.com) in one of her articles. Anyone that has had even an inclination to say that MMS had helped them publicly, immediately became targets of slander and ridicule. I have recently come to know a man here in Arizona, who has not only met Tullio Simoncini himself, who wrote that cancer is a fungus, but has taken his sodium bicarbonate therapy for a cancer condition. It didn’t work for him. 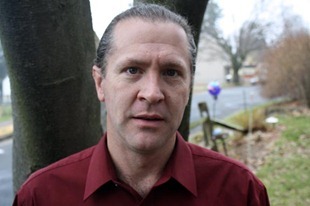 This man had the wisdom and grace not to demean Dr. Simoncini, or claim that his protocol was suspect, which cannot be said for many of his own colleagues in the medical profession, who hung him out to dry. The lack of personal success in using MMS doesn’t invalidate it as a viable, and even beneficial detox tool when used as recommended. It also doesn’t mean that there aren’t alternatives. Compatible – works with other natural agents, and denatures the unnatural ones. Improves Electrical Conductivity – being a form of unprocessed salt, MMS helps facilitate a cellular “reboot” within the body, even as it breaks down or eliminates bio-electrical shorts. Delivers Oxygen – Oxygen can’t be patented, otherwise Monsanto would have tried to genetically modify it. As such, when body is low on oxygen, it is low on energy. Yet, when MMS is taken, charge does happen. A LITTLE Goes LONG way – you use a small number of drops of MMS. We have grown accustomed to thinking that, if a little of something will help, the a little more will help more. It is sometimes better do use less of something that you know is helpful, rather than more. The art is in discerning when it is best to do what. Water Delivers Ions – without requiring the energy to break down molecular products, MMS dissolved in water, naturally ionizes, turning the elements that it contains into information and energy. Wil Spencer’s regimen didn’t rely only on MMS. He used other supplements intended to restore balance; which is, in fact, the intention of the Sircus regimen presented by the Gulf Coast Barefoot Doctors. However, healing is a personal journey, and instead of remaining in the “either/or”, “right/wrong,” “mine or theirs” mode of thinking, the well-being of the person seeking to heal should be put above opinions; mine or anyone else’s. With the number of MMS users now in the millions, it is simple head-in-the-sand thinking that would prompt a person to say there’s no evidence that MMS is helpful. Yes, a few people claim to not have healed themselves. They tend to be sketchy with details, and very ready to argue for the damage they’ve sustained, all the while maintaining their anonymity. For anyone who didn’t get the memo, the case in the death, in August 2009, associated with MMS intake, was closed, well over one year later, after the media and FDA had had a chance to make specious claims without any burden of proof against its use. The coroner in Vanuatu could no longer keep the case open, because there was no evidence of what these agencies were desperately trying to prove. The predominant tenor in the results that people who have used MMS have reported, is a consistent improvement in oftentimes long-standing chronic and degenerative conditions. Chlorine dioxide is the water treatment method of choice, considered superior to chlorination – for hundreds of cities around the world. Only a precious few are in the U.S. Yet, for all the cries of danger at the specter of taking MMS, there is a very conspicuous silence over the damage that is being done day in, and day out, through standard predominant water treatment practices. Blame the problems that society is coping with, on a product most of society hasn’t taken, and yet raise money for “cures” for problems that this new product is showing itself to resolve. That, my friends, is the American Way. Does this make MMS the answer in all situations? No. It would be foolish to think so. On the other hand, it is utter foolishness to ignore and disrespect the results reported by people who have actually used MMS through suppositions posited by people who have not, or who used it only enough to get their feet wet. A true scientist is not afraid to use his or her product. Even though we have never met in person, Mark Sircus and I go back quite a few years, over a decade. I don’t believe that it was by accident that it happened. No matter where he goes from here – and I wish him all the best – I will, in this life, be the one who brought his first book, Transdermal Magnesium Therapy, into printed form, turning it from a Microsoft Word file, into a breakthrough resource on magnesium. I have done a similar feat with MMS… not as a proponent of Jim Humble, although he is now a friend, but as a proponent of something that works as described, in a time where kept promises oftentimes remain inconveniently and sadly, out of mind’s reach. First, let’s do no harm, to one or another. Choose the most benign route, secondly. And save the best for last, if we can afford it. I had been long wondering about what opinion Mark Sircus held on MMS. Now I really have to question much of his other opinions also! Since this current opinion of his on MMS is so greatly in error it makes me think that his other opinions may not be well formed and it makes me question exactly what motivates him. Perhaps he does not merit this but what am I suppose to think? How could such an intelligent person, dedicated to alternative medicine make such misjudgements? As an MMS user and promoter via education for over 3 years now, I can attest that MMS has worked wonders for many, even some with cancer. I am sorry that Dr Sircus has taken this position. I hope he will find his way to see the error in his thinking, to research the product and talk with people who use it dialy and then find a way to make restitution. As it stands now, his word will cut people off from the medicine that they perhaps need the most, and in that, he is culpable of great damage. I fully agree with that. It is up to US to decide what is good for us and what helps us, to nobody else. Outsides, how ever well meaning they may be, can only give us adivese or their opinion, but no more than that! I have been using MMS for three years and I have taken enough MMS to kill an elephant according to the FDA and here I am alive, alive, alive and healthy! I am also familiar with the Transdermal Magnesium Therapy and I have got good results and it is really hard to believe that Mark Sircus does not want to give it a try to MMS. In his book he said very clear that FDA is not working for humanity and now he is quoting the FDA warning about MMS. Are we talking about the same Mark Sircus? Anyway, I respect his opinion regarding to Magnesium and MMS, but as always I DO DECIDE what is good for me and what is not. Bravo! Anyone who aims to deter others from the use of chlorine dioxide therapy by shocking them with horrid imagery in order to deprive them of the clear and scientific distinction between elemental chlorine and ionic chloride in the human body has no business instructing others in biochemistry let alone health. The Sircus writeup on MMS was a social and professional blunder that Sircus will have to grapple with in the days to come. If he’s honest, he’ll find his way. Quoting those who are equally challenged with the fundamental laws of chemistry wasn’t helpful, nor was his public disparagement of Jim, a man who has given more to humanity and saved more lives than Sircus may ever dream. All the lazy and egotistical critics of the world cannot hold a candle to the umpteen thousand experiences of people who’ve had life saving results from the use of chlorine dioxide. Sircus has drawn a line between he and the alternative health movement by placing himself clearly on the side of the proverbial “they”; those driven by an ulterior motive and not a love for truth. Mr. Abraham: I own Natural Health and Wellness Center, Inc in Vacaville, Ca., and I have had clients wanting to try the MMS which I have incorporated it in their protocols. It has worked incredulously for many clients. I wrote M. Sircus and questioned him about eliminating a great product which has its place in the arena of health restoration and I also disagree with his article and most of his fact. As far as your comments about not all products working for everyone I find is absolutely true in my work as a ProEft/Matrix Practitioner. The mind is powerful and no matter what great protocol I set up for a client; if there are emotional issues and emotional trauma then sometimes nothing works. Its only after the client has reversed their negative emotional response and thinking of past or current life events can their body’s inner brain switch and reverse illness to restoration. Dr. Hamer, like Simonichi is a pioneer in discovering how to help the body heal by incorporating the importance of the brain and how events can help or prevent the body from healing. Congratulations on your great service towards educating others about MMS and the truth about Jim Humble~he is a true hero. vonhwc@yahoo.com. 707-689-5395. As part of an ongoing effort to document the possibilities of the clinical use of chlorine dioxide, I’d love to talk with you some day about your work with MMS. I’d like the public to know that conscious health care centers do exist, even within the borders of the U.S., where they can get effective medical assistance. It would be great to talk with some patients on camera. How can I email you off line rather than being public through your blog? I would like to have more of a discussion with you. The individual is the most overlooked component in the disease contracting/abatement matrix. If we don’t see ourselves as complicit, not in an accusatory way, but matter-of-factly, in how the condition took hold — within US — we will also dis-empower ourselves from being active, conscious parts of the cure. I dare say that if you asked most people who are chronically ill what they’d do with their lives if they were healthy once again, most would have no clue. This is a grossly unexamined factor. I’m looking forward to speaking with you. Ahhh, the new LIGHT that is Dawn! As always Julie, I value your reflection. Thanks for this post. It is helping me make some decisions I had been considering. You do not know me but I have been following your work for a while now. I subscribed to getting your new posts via email. I appreciate very much all your efforts on behalf of the truth, and especially combating all the lies being promoted about MMS and Jim Humble. Your response to Mark Sircus is excellent and well written. I have been following Mark for a while now also and have admired his bravery in standing up for the truth as well. But then he comes out with this regurgitation of Segura’s nonsense about MMS. As he admits, he wouldn’t even take the MMS himself, didn’t observe others who had, and didn’t consult with those such as Jim who are making these claims. And yet he has the nerve to tell us it can’t work. When someone, who is otherwise quite intelligent and brave, starts acting irrational like this, then I know to start looking for something that is hidden. Maybe there is a hidden agenda because he is secretly getting paid off or threatened, or maybe there are emotions at work. Well, you have now provided the explanation that was missing. Mark had his ego bruised when his detox protocol lost face due to MMS. I imagine it was not easy for you to write this and publish it. I applaud your efforts and honesty, and it is very kind. Not easy to do all this so quickly. Thank you for your kind words. No, it wasn’t an easy, or even a happy write, but I feel better having done it than remaining silent. I agree with your very well thoughtout response to Marc Sircus blog. It seems that when things work and they are effective, they must be disparaged in order to maintain the status quo. Whenever I hear protests like those that come from the mainstream, I always have to ask, “Follow the money” or “follow the power” or “follow the prestige” it usually is a clarifying filter to all of the shouting. 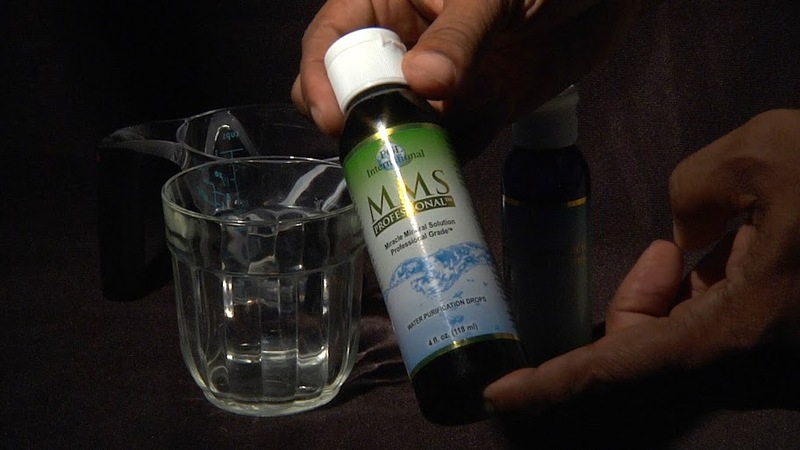 Very good blog on MMS, magnesium and Gulf Oil Spill and toxic wastes. I believe that you could have made 3 great blogs out of this one. I think that MMS (now called water purification drops — (WPD) will take care of the toxins in the people who have to live and work along the southern coast and all those poisons the oil companies dumped in the water.